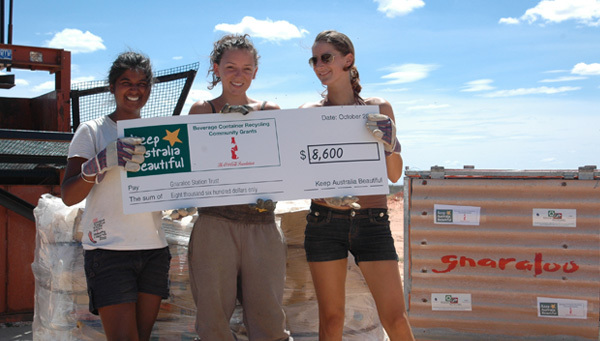 We started the Gnaraloo Reduce Reuse Recycle Program (GRRRP) during 2005 after identifying the need for initiatives to better manage waste streams at Gnaraloo, whether it is the large volume of rubbish produced by guests and visitors at the two tourism accommodation areas at 3Mile Camp and the Gnaraloo Homestead tourism area or from other activities at Gnaraloo, such as the pastoral operations. Waste management is a priority given the environmental sensitivity, biodiversity values and beauty of Gnaraloo – Karen Hattingh, Chair of the Gnaraloo Wilderness Foundation and Lead Scientific Officer of the Gnaraloo Turtle Conservation Program. We focused on glass and aluminium containers at first to start managing the waste going to landfill areas. 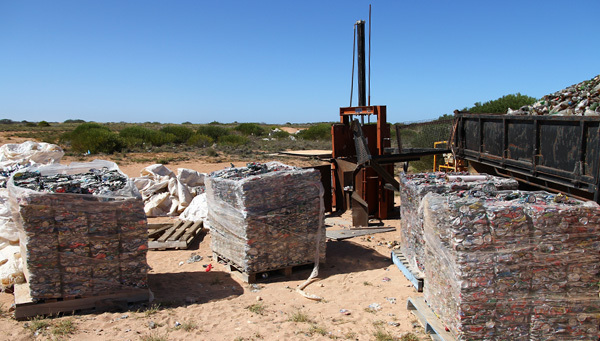 Working with the Gnaraloo pastoral leaseholder, we successfully introduced a recycling program in 2007 through installation and use of recycling bin systems at 3Mile Camp and the Gnaraloo Homestead tourism area to separate glass and aluminium from other waste material, at source. The initiative has worked well and is supported by guests and visitors to Gnaraloo. In 2011, Keep Australia Beautiful (KAB) and the Coca Cola Foundation supported our waste management endeavours through a Beverage and Container Recyling Community Grant. 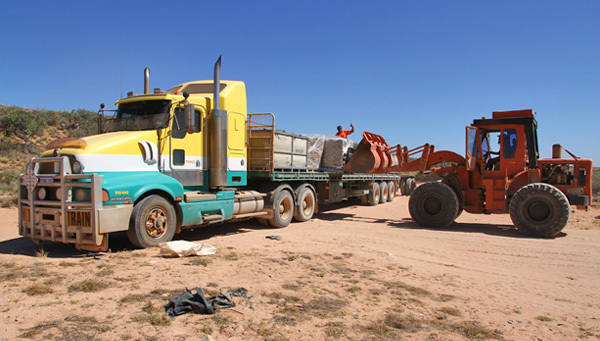 We worked with the Gnaraloo pastoral leaseholder to manufacture a crusher machine to process stockpiled recyclable materials onsite at Gnaraloo. 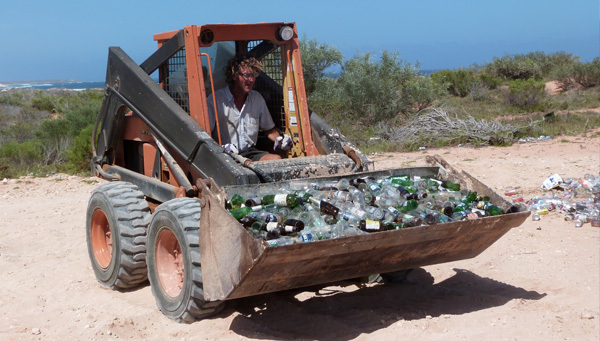 With the help of the crusher machine, Willing Workers on Organic Farms (Woofers) and Gnaraloo’s backpacker workforce, many hours of labour in hot unhospitable conditions have been invested to sort, separate and crush glass and aluminium containers. 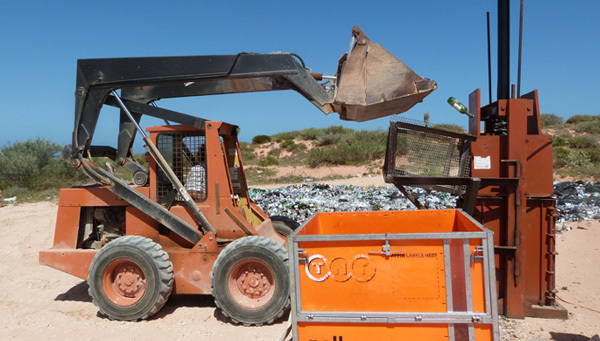 During 2011/12, this work resulted in 13 tonne of recyclable glass and 1 tonne of aluminium containers being removed from Gnaraloo landfill areas to Perth for offsite recycling, through a partnership with Ruggies Recycling. 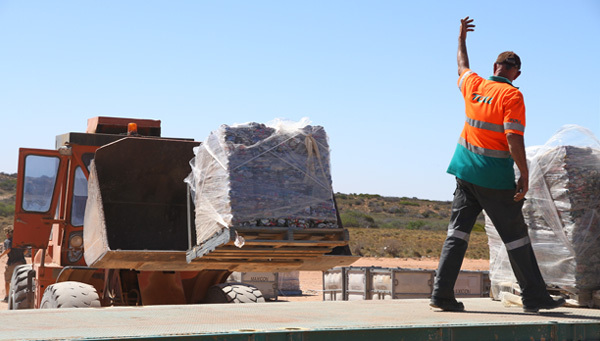 KAB and the Coca Cola Foundation supported us again during 2012/13 to help remove more of the stockpiled recyclable materials in the Gnaraloo landfill areas. 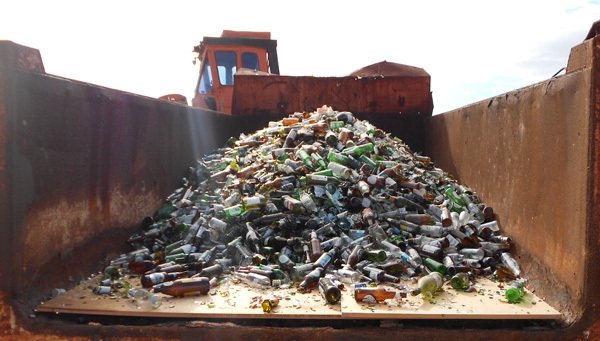 Work was undertaken to remove 20 tonne of recyclable glass and aluminium from Gnaraloo to Perth for recycling. We also extended the GRRRP to start including plastics and we are currently working on new initiatives to be able to better manage plastic waste. 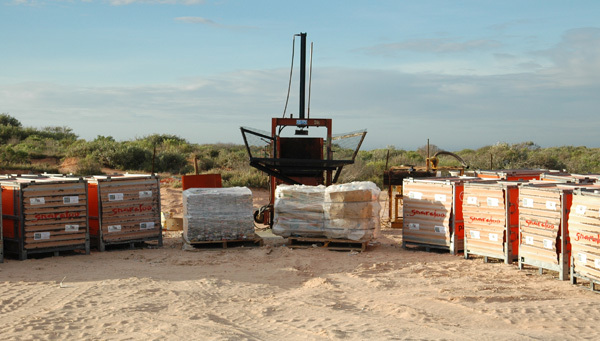 Re-use of material is common at Gnaraloo. Anything that can be reinvented and given a second life is kept and stored for use at a later date. We strongly encourage guests and visitors to Gnaraloo to reduce rubbish by ‘packing for Gnaraloo’ and adopting the motto ‘Leave only footprints and take what you bring’. Please leave packaging of required supplies at home and transfer these items into containers instead that can be taken home after use. Remove items with you when you leave Gnaraloo that will not easily or quickly break down or compact in the Gnaraloo landfill areas, such as torn tarps, broken chairs or surfboards. – Mark Scholmann, Gnaraloo Wilderness Foundation Members Officer. Before we started the GRRRP with the Gnaraloo pastoral leaseholder in 2005, rubbish that may otherwise be recycled was buried onsite where it remained forever. Large landfills in wilderness areas reduce visual amenity, consume valuable space that should be habitat for native flora and fauna, pose safety hazards and create disagreeable legacies for future generations. The GRRRP demonstrates that there are viable alternatives to burying and burning rubbish onsite in remote wilderness areas.